This webinar was arranged by The Human Brain Project (HBP) Stakeholder Forums, which provided an opportunity for HBP researchers and stakeholders outside HBP to exchange experiences, ideas, considerations and concerns. 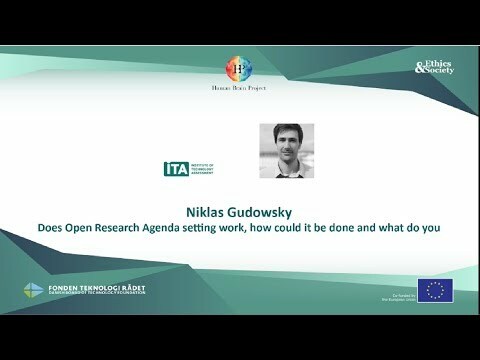 The webinars included 4 guest presentations related to Open Research Agenda Setting, which was be followed by a facilitated plenary discussion. 10:00 – 10:05 Welcome by Lars Klüver Director, Danish Board of Technology Foundation /deputy leader HBP Ethics & Society. 12:00-12:30 Wider discussion and closing remarks by Lars Klüver Director, Danish Board of Technology Foundation /deputy leader HBP Ethics & Society. This is an online international webinar which will take place through the online event tool ‘WebEx’. WebEx requires – an internet connection, webcam and speaker/microphone or a headset. Further details will be provided prior to the event. The Stakeholder Forums are organized and hosted by HBP, and the Danish Board of Technology Foundation. 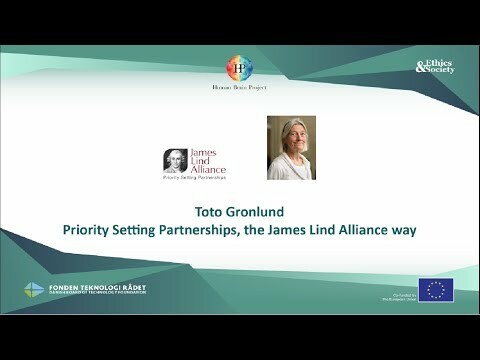 Presentation (PDF): The James Lind Alliance approach to research priority setting by Toto Gronlund, Senior Advisor at the James Lind Alliance.